The Overday went off without a hitch yesterday and was by far the fastest feeling one I’ve ever experienced. I do not regret, in any form, switching it from night to day. We played Star Wars Rebellion for 9 straight hours at the start. I did not intend to do that. I did not expect to do that. It just happened. I don’t think there was a single dull moment during that time. Emily and I had a group of about six kids who either played or just wanted to watch and help with components and they were totally sucked in. The four player team game is awesome. Jim and Jack and I played a majority correctly, but I should have been playing the Rebels as if I were two people when we played. We’re only supposed to do Admiral/General missions on the relevant players turn. I mention this not as a criticism, but because it opens up this whole other dimension of turn order when you play this way. If only an Admiral or General is assigned to a mission, they have to go on that person’s turn. BUT, if you assign both an Admiral AND a General to a mission, you get to choose when to reveal it, during either player’s turn. You gain flexibility by committing more leaders. Two different kids and I were the Imps and Emily and Tyler were Rebels for both games. The first game took four hours and the second five. I know that seems like a long time to play two games, but we broke for lunch and dinner in the middle of those and there were some serious decision making that happened in both games. I believe that people who really concentrate and make quick decisions could finish the game in three. To the photos! These are all pics of the second game because I was focused on teaching the first game. Imperials won the first game pretty handly, but when you first learn the game it can be tough to know the timing of Rapid mobilization to move the Rebel Base. I learned that in future games I need to explain to the Rebel player exactly how the timing on it works. Starting setup for second game:. Starting non-base setup for the Rebs:. We destroyed a system in the first game, but not in the second. Destroying at least one system is critical for the Imps during a game because it sets the Rebs back one reputation. Here it it after a few turns. Danny and I started by eliminating the lower left region as a possible Base location with a combination of probe cards and conquering Mygeeto and Ord Mantell. What you see took a lot of setup and missions to do. Basically: Move > Subjugate> Rule by Fear. If you look closely in the upper right, the Rebs were using that time to build a significant presence in the Nal Hutta region. Spoiler alert: This was a very effective feint. Emily and Tyler dropped a Mon Cal cruiser on Turn 1 or 2 and kicked one of our fleets butts almost immediately. Danny and I found ourselves needing to take worlds to get our production up. We were really short on transport capacity in the early and middle game and setting us up for more kept us in the game. We totally captured Leia and turned her to the dark side. We did this because, awesome. We also attempted to capture Obi Wan but the Rebs used Noble Sacrifice to eliminate him from the game instead and gain one Reputation.We had a huge leader advantage at the end of the game 9 to 6. We swept down into Endor and found the Rebel base. Our force was only really ground forces, and we conquered the ground but not space. The Rebel ground structures (Ion Cannons and Shield Generators) are really good when used well. You need to conquer both Ground and Space to win against the Rebel Base. They had parked two Mon Cal cruisers in orbit and if you look upper left our fleet was still two spaces away. So, we conquered ground, but they had a sizeable fleet in orbit.Two turns later we got there with the fleet. They were really close on a reputation victory and decided that moving it again wasn’t prudent. A single Ion Cannon is nasty. It forces you to role two fewer red dice in space. The above photo was before their attack back (which was significant). Danny just happened to get a really good roll for us in our first attack and we had the space cards from Admiral Piett to push it in our favor.We really screwed up this combat at the start and, in retrospect, when I discovered this, I should have just let it go. Playing it wrong gave the Rebels a huge advantage. So, I requested we play the whole thing over again, merely because I noticed that the way we played it incorrectly gave the Imperials practically no chance of victory.Of critical importance is the order of combat: Space>Ground>Space>Ground. If all space rounds happened before all ground rounds, the single Ion Cannon would have made it impossible for us to achieve victory. The turn order basically rewards you for attacking or defending heavily in both theatres. With that single Ion Cannon, our Star Destroyer was invalidated the whole combat, not just one or two phases. The problem with re-playing it is that the Rebels felt like they were cruising for an easy victory and I kinda (unintentionally) snatched that feeling from them. That was not my goal.When we re-did the battle, Danny rolled really well on space. Doing a round of ground battle next made a huge difference. We were able to snag the Ion Cannon in ground combat and with the good shake of 11 dice we effectively won the space battle.If we hadn’t won there, the Rebels would have won the game, because they were one Reputation away from victory and were able to play 3 at the end of this round. I regret replaying the battle because even though we ended up playing correctly, it had an unfair emotional impact on our opponents. Every single strategic or tactical “error” that the Rebel players made was due to unfamiliarity with the rules. So, the game ended with me feeling like my knowledge of the rules was an unfair advantage for the Imperial side. It obviously should not have been and so, in my eyes, Rebels should have won that game no matter what the outcome of that battle. It is a game teacher’s responsibility to create an equitable balance between fun and rules and I failed in that regard. The Rebels in that game played a really strong game and they deserve credit for all the great decisions they made. I have yet to play a game that wasn’t really close when everyone really understood the rules and gameplay. There was all sorts of crazy chicanery that occurred on both sides pulling the rug out from opponents. With another successful Overday under our belts, I’m excited to take a break and return to Game Club next year! 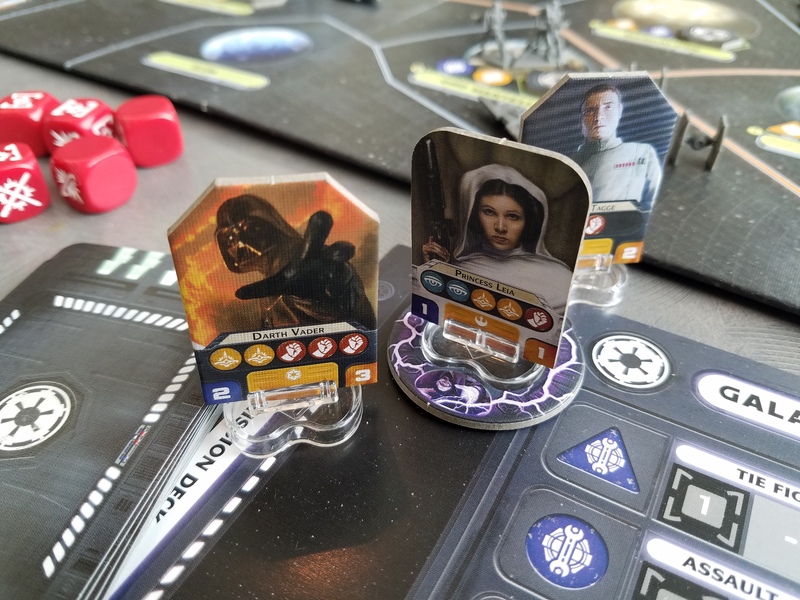 This entry was posted in Board games, Game Club, Star Wars, Teaching Games and tagged Game Club, Overday, Star Wars, Star Wars: Rebellion Board Game on May 8, 2016 by klecser. The spring Overday this year was pretty subdued as not too many students could make it. We had a great time of course. This entry was posted in Game Club, Overday and tagged Game Club, Harry Potter, Overday, short story on May 11, 2015 by klecser. Its been over a week since I debriefed the Overday. Here is the promised second half of the DND Role-playing adventure! This entry was posted in Dungeons and Dragons, Game Club, Overday, RPGs and tagged Dungeons and Dragons, Game Club, Little bit of Klingon, Overday on December 29, 2014 by klecser. And now for the MAIN event. Let’s get ready to ROLE-PLAAAAAAAAAAYYYYY! This entry was posted in Dungeons and Dragons, Game Club, Overday, RPGs and tagged Dungeons and Dragons, Dungeons and Dragons 5th edition, Game Club, Overday on December 16, 2014 by klecser. This entry was posted in Game Club, Overday, X-wing Miniatures Game and tagged acrylic templates, Game Club, mysterious benefactor, Overday, The X-wing Miniatures Game on December 14, 2014 by klecser. Part 1 was focused and relaxed! This entry was posted in Magic: The Gathering, Overday, Teaching Games, Uncategorized, Video Games and tagged Battlelore Second Edition, Magic: the Gathering, Overday, video games on December 11, 2014 by klecser. It will take me a while to report on the Overday as a lot happened and I’m not feeling well today. However, in the interim, here are the pictures from the evening, after the jump! This entry was posted in Board games, Dungeons and Dragons, Game Club, Magic: The Gathering, Miniatures, Overday, RPGs, Teaching Games, Tournaments, Video Games, X-wing Miniatures Game and tagged Anime, Battlelore Second Edition, Betrayal at House On The Hill, Drawing, Dungeons and Dragons Fifth Edition, Magic: the Gathering, Overday, Skyrim, X-wing Miniatures Game, Xbox 360 on December 7, 2014 by klecser.